Students are our first priority, but teachers come in at a close second. For the most part, they are the gateway to the students. If we don’t find ways to reach them, we lose much of our access to students. Why don’t we collaborate more – or at least cooperate? We are on the same team? Aren’t we? The answer is not simple. Yes, we should be on the same team, but do you feel and act as if the teachers are on your team? Do the teachers feel you are on theirs? Too many librarians believe the teachers don’t recognize what they bring to students, and this is often the case. If they are not working with you, they have no idea what you are doing. And they certainly can’t imagine what you could do. The situation can be exacerbated by your reaction. If you feel undervalued and even disrespected, your attitude creeps into your interactions with the teachers. They sense it and respond in kind, further setting up a “we/they” feeling. It’s too important to let things continue if they are not working. Your job responsibility requires you to at least have a professional relationship with every teacher. You don’t have to be BFFs, but you must be able to regard all of them in a friendly manner. The library is a “safe, welcoming environment for ALL.” That includes teachers, even if they never set foot in it. 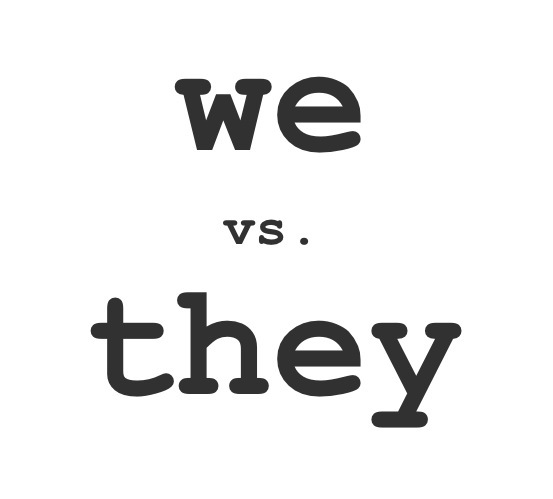 Your challenge is to move from we/they to us. If they don’t come in the library, you are going to have to meet them elsewhere. School and district committees are a good place to start. Despite your heavy schedule, you need to make time for this because you automatically meet as equals on these committees. As you bring your expertise to the discussions, teachers begin to realize how you can contribute to what they do. Next, make your library an inviting space for teachers. Food is always the perfect lure. Have coffee (and tea) available if you can. Bring in snacks both healthy and not-so-healthy that don’t need refrigeration. Let teachers know you have this available. There are other ways to lure teachers in. Having a color printer or a laminator are a draw. Even better, if your library has the space, create a “teachers only” area. If you build this – they will come. You don’t have to stop what you are doing to greet them. Your students and classes come first. Leave a little welcoming note and/or any needed directions where you have the food. You can leave some new additions nearby with a note saying these books are about to be put into the collection and to let you know if they want one of them first. You can also put out magazines you think they would like. On those occasions when teachers come in and you aren’t involved with students, don’t pounce on them with suggestions of books and websites and other resources. Just focus on bringing them in. If they feek as though you are offering a sales pitch, they will stay away. Instead, use the time to get to know them as people. What are their hobbies, interests? Do they have kids? Do whatever it takes to begin building a relationship. Reach out to them as people. Personal before professional lays the groundwork. You will know you are succeeding when some teachers bring in food as thanks or come to use some of the special resources you have available. That’s your cue to take the next step with them. Move from the personal to the professional. (Sounds backwards but it’s really the best way to create collaboration or cooperation.) Ask about what they are working on with their classes. Listen carefully to find out what the culminating project is or any difficulties they are having with the unit. Teachers are as overwhelmed and feel as unappreciated and undervalued as you do. The last thing they want is to take on more work. 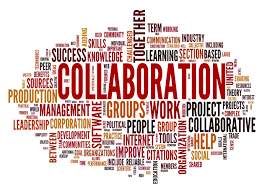 Cooperating or collaborating with you sounds like it is just that. You need to show them that being an Instructional Partner can and will make their life easier.